I recently found a yummy low carb, keto doughnut recipe that was shared via our private Facebook group and I just had to try it. I am always leery of suggesting recipes that I haven’t tried and tested. Of course, this gave me an excuse to make some low carb doughnuts so I was all for it. I highly recommend you give them a shot, you will be amazed at how good they taste. Careful not to overindulge! These low carb chocolate doughnuts were super quick and easy to make, even the kids were able to help and they cooked in no time. I didn’t have a doughnut pan so I just used a mini muffin pan instead. There were a few other substitutions I made aside from what was used in the original recipe so I posted it at the bottom of this blog post in case you want it. Check out how I personally made them below. 1. Preheat oven to 350 degrees F and spray 2 donut pans with cooking spray or grease entire mini muffin tin with avocado oil and baster. 2. 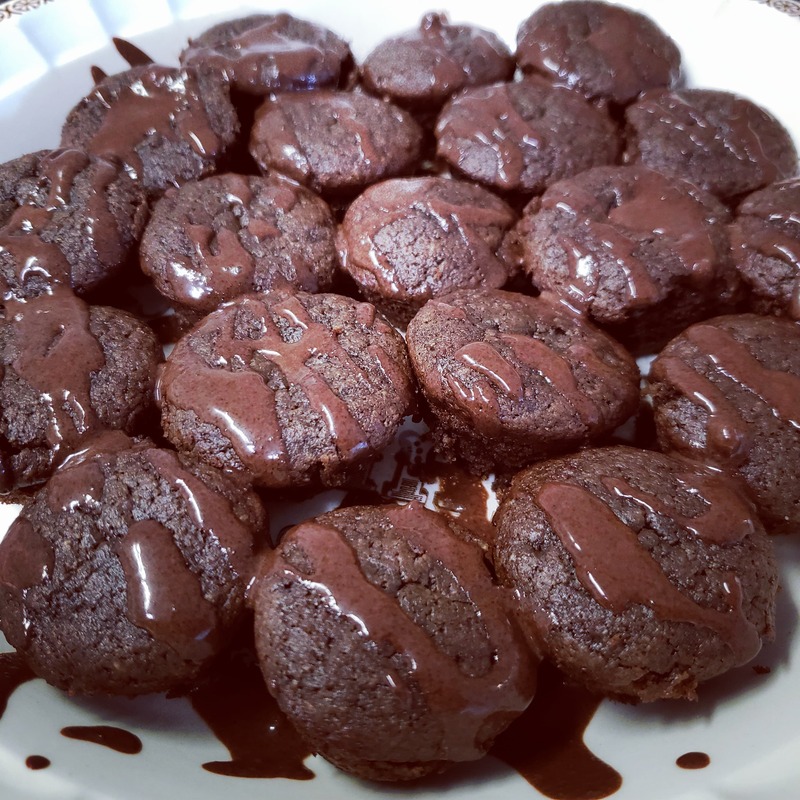 In a medium bowl, combine almond flour, unsweetened cocoa powder, salt, baking soda and keto sweetener. Use a whisk to mix thoroughly. 3. Add melted butter to dry ingredients and stir until absorbed. 4. Add the eggs, vanilla extract, and heavy whipping cream and stir until smooth. 5. Spoon into prepared donut pans or mini muffin tin. 6. Bake for 10 to 15 minutes. Donuts are done when the top springs back when touched. Note- if you are using the mini muffin tin as I did, the cooking time is less than 5 minutes so be sure to watch closely. 7. Remove and let cool in the pan for 10 minutes (using the mini muffin pan these cooked within less than 5 minutes and I removed them immediately to ensure they didn’t overcook) then flip out onto a wire rack to cool completely. 8. In a medium shallow bowl, whisk together keto sweetener and unsweetened cocoa powder. Add the heavy whipping cream and water and whisk to combine. 9. Add enough water until the glaze thins out and is of a dippable consistency, without being too watery. 10. Dip the top of each doughnut into the glaze or using a spoon drizzle the glaze over the mini chocolate doughnuts and let set about 30 minutes.